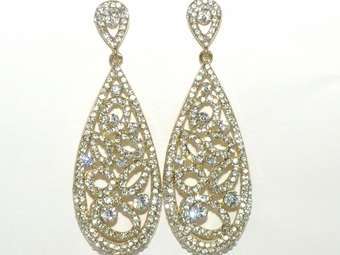 Description: Dramatic vintage light gold setting filigree drop rhinestone earrings. Get noticed with these stunning glamorous earrings, bold and beautiful measures approximately 3 1/2" long x slightly over 1" wide. perfect for any special occassion.